A new independent film chronicles a Bay Area effort to create the nation's first women-led urban Native American land trust. Johnella LaRose and Corrina Gould. The film's website is BeyondRecognitionFilm.com. In May 2011, the Greater Vallejo Recreation District planned to break ground on a new park at Glen Cove — a large, shallow recess in the Carquinez Strait. The fifteen-acre site is home to abundant wildlife, as well as native plants, including bulrush and pickleweed, that edge the shoreline in dense stands. To park planners, it seemed to be an ideal place to pave additional trails, install some picnic tables, and construct a parking lot and restrooms. The cove, however, has been a sacred gathering place and burial ground for Native American people for at least 3,500 years. It's known as Sogorea Te, and the development of a park on top of it would have entailed re-grading several acres, which would have disturbed graves and sacred objects and "capped" known burial sites with twelve inches of soil. For more than a decade, indigenous activists and their allies had rallied against this planned desecration. On the day that park construction would have begun, close to one hundred people gathered at Sogorea Te and lit a ceremonial fire. Before the weekend was over, most activists expected to be arrested for blocking construction. Instead, the ceremonial fire stayed lit for 109 days. The protest flowered into an ad-hoc experiment in communal living. Elementary and middle school teachers brought their classes there. Homeless single mothers found sanctuary for themselves and their children. People from all walks of life found a niche, whether by growing food, chopping wood, or partaking in decision-making councils. 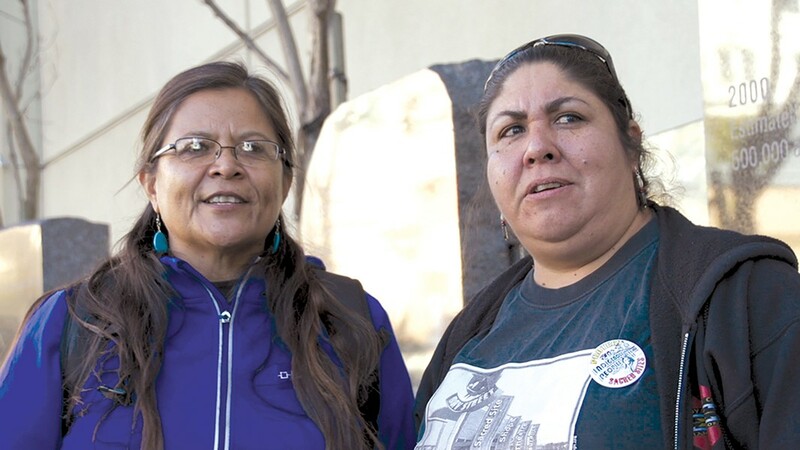 "We went to save the land at Sogorea Te, but really, the land saved us," said Johnella LaRose, a founder of Oakland-based Indian People Organizing For Change, which focuses on protecting indigenous sacred sites in the San Francisco Bay Area. "Many of us have struggled to protect land for most of our lives. But we didn't truly understand we needed the land so much until then." The occupation ended in a sort of political victory — sort of. The Vallejo City Council unanimously authorized a first-of-its-kind Cultural Easement and Settlement Agreement with the Yolo County-based Yocha Dehe Wintun Nation, the closest federally recognized tribe. Under the agreement, the tribe gained the legal right to oversee and protect the area. Yocha Dehe officials, however, had little connection to the Sogorea Te struggle. Within months, they made concessions to the Greater Vallejo Recreation District, allowing park planners to grade much of the site and even install part of the contentious parking lot. A fundamental problem was that the indigenous people who led the occupation lack federal recognition as Native Americans. In addition, the federal recognition process administered by the Bureau of Indian Affairs involves an infamous level of stonewalling. For example, the Muwekma Ohlone of the Bay Area are among more than one hundred tribes engaged in a protracted recognition process with the bureau, and there's no guarantee that they'll be successful. So defenders of Sogorea Te have elected to pursue a different course to protect sacred sites: to create the first women-led, urban indigenous land trust in the United States. "If we'd had a land trust during Sogorea Te, we would been the partners rather than the Yocha Dehe," explained Corrina Gould, who, as a Chochenyo Ohlone woman, has an ancestral lineage in the East Bay that dates back at least 13,000 years. "The ancestors were saying, 'You didn't have this tool in your tool belt then, so now we're going to give it to you.'" The land trust will be a nonprofit that acquires and protects land with cultural value to the Ohlone and other indigenous people. But just as the Sogorea Te occupation brought together people from many cultural backgrounds, the land trust will create opportunities for people from various walks of life to develop a more active relationship with a land base. The journey toward creating the land trust is the subject of a new documentary entitled Beyond Recognition, from Underexposed Films. It screens at San Jose's Cinequest Film Festival on March 7. The film will also be broadcast on PBS affiliate KRCB Channel 22 on March 16 at 7:30 p.m., in honor of Women's History Month. The film focuses largely on the life of Corrina Gould, who has become a public face of Bay Area efforts to protect sacred sites. Born and raised in Oakland, Gould grew up knowing she is an Ohlone person because her mother, also a lifelong Oakland resident, regularly talked about the family history. During the California Gold Rush, her relatives survived the gruesome violence of the period by hiding out at a Pleasanton ranch and pretending to be Mexican. 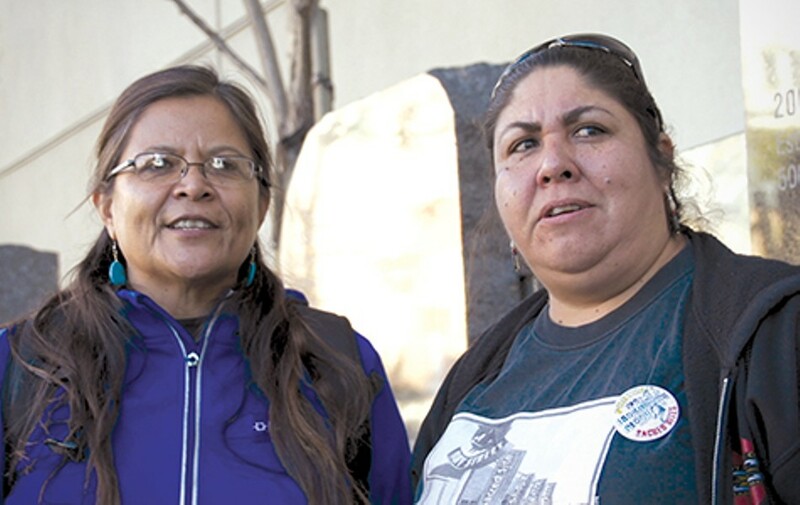 Gould and LaRose — who is Shoshone Bannock of the northern Great Basin in Idaho and surrounding areas — co-founded Indian People Organizing For Change (IPOC) in the mid-Nineties. The group has brought considerable attention to the Muwekma Ohlone's ancestral landscape, including some 500 shellmounds — mounds up to 60 feet high of mostly molluscan shells, which often acted as funerary places — that had lined this region's sea and bay shores. IPOC is in the midst of filing for 501(c)3 nonprofit status. The land trust will be seeking donations of land, assets, and longterm endowments. The project is guided by two advisory groups, one made up of indigenous women and one composed of academic and legal advisors. Among the latter is Beth Rose Middleton, associate professor in the Department of Native American Studies at UC Davis and author of Trust in the Land: New Directions in Tribal Conservation, which explores conservation partnerships led by California native nations throughout the state. "There are many people who are indigenous to the San Francisco Bay Area, and there are many important places in dire need of protection," Middleton said in an interview. "The land trust and accompanying tool of the conservation easement is one mechanism that tribes — recognized and unrecognized — can use to protect, access, restore, and reclaim lands." In contrast to many conservation land trusts, which prioritize species conservation that diminishes human contact with land, Middleton notes that Native American-led projects focus on restoring humans' historic role as land stewards. Such projects, she said, provide a tangible way "to right historical wrongs and provide long-term protection and enhancement of lands and waters we all depend upon." Beyond Recognition was produced and directed by Michelle Grace Steinberg and co-produced by Robyn Bykofsky. In addition to being a filmmaker, Steinberg is a nutritionist and herbalist at a Spanish bilingual free clinic in East Oakland called Street Level Health Project. She met Gould and LaRose in 2010 through the effort to protect Glen Cove. "People like myself come to the Bay Area from all over but fail to recognize the history of the land or its original inhabitants," Steinberg said. "It feels critical to bring that consciousness of the forefront, particularly as we struggle with questions of environmental protection in the future." Gould and LaRose envision that the land trust will, in a sense, carry on the spirit of the fire that burned for 109 days at Sogorea Te. "It's about connecting to each other and to land in a different kind of way, so that everyone has a place," Gould said. Correction: The original version of this story misstated the date in which the documentary Beyond Recognition will be broadcast on PBS affiliate KRCB Channel 22. It's scheduled for March 16 -- not March 15.